This blog post is written by An Endless Supply who present ‘In Conversation with Peter Bilak’ on Friday 6th December at Library of Birmingham, part of Volume. 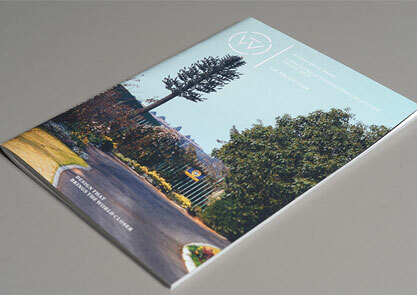 Works that Work is a new magazine that is something like the ‘National Geographic of design’. Its first two issues have travelled the globe for fascinating stories on far-ranging subjects including international food smugglers, the world’s biggest building, ad hoc chairs, and flies in urinals. Beyond great journalism it’s also thinking out loud about what a magazine can do in the 2010s. Readers raised £29,000 to put its first issue into production and with the third issue the magazine intends to go ad-free. Works that Work is simultaneously published online and in print and has introduced a new model of ‘social distribution’, that pulls together a network of readers to promote and push the magazine, taking a share of the profits in the process. Reading groups have formed, and it has an exemplary blog, where posts have responded to reader’s feedback on the magazine’s binding, and, in Scritti Politti style, the costs of each issue have been made public.